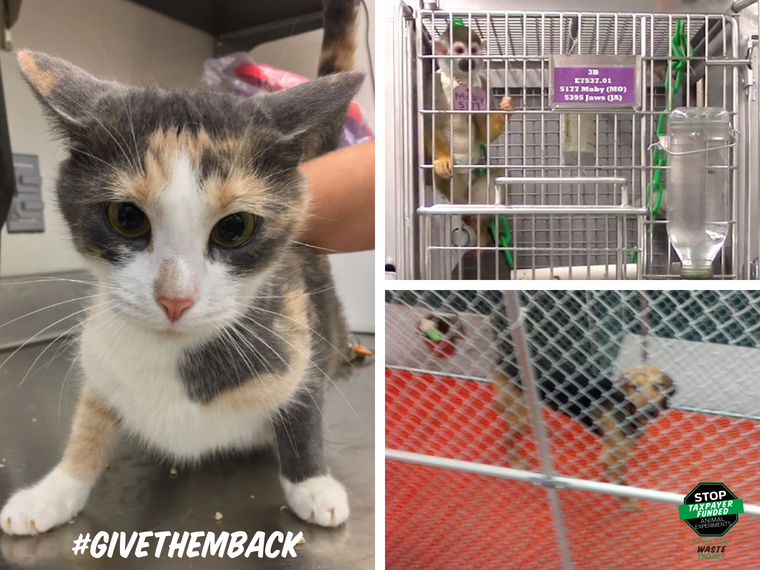 When wasteful government animal experiments are defunded, canceled or completed, taxpayers want dogs, cats and primates who survive the abuse to be given a second chance in loving homes or sanctuaries. We bought them, and we want Uncle Sam to #GiveThemBack. That’s why White Coat Waste Project secured the retirement of monkeys to a sanctuary from a Food and Drug Administration nicotine laboratory, and is working with Congress to get dogs out of Department of Veterans Affairs labs and cats released from the U.S. Department of Agriculture’s kitten slaughterhouse. Clockwise L-R: Cat at USDA’s “kitten slaughterhouse” in Beltsville, MD; squirrel monkey in FDA’s now-defunct nicotine addiction lab; and a dog confined at the VA’s “maximum pain” lab in Richmond, VA.
Now, a powerful bipartisan coalition of over two dozen influential Congress members led by Reps. Erik Paulsen (R-MN) and Brendan Boyle (D-PA)–both 2017 WCW Waste Warriors–wants to see this happen across the entire federal government. Our constituents are increasingly concerned about the welfare of animals used in federally-funded research and strongly support research animal adoption and retirement. We agree that cats, dogs and primates that survive taxpayer-funded government research should be provided with an opportunity to find suitable non-laboratory homes at the completion of studies. The letter expresses concern about a lack of agency policies on this issue and requests information from the department heads on their use of dogs, cats and primates in experiments and any agency activity related to the retirement of animals no longer needed in experiments. 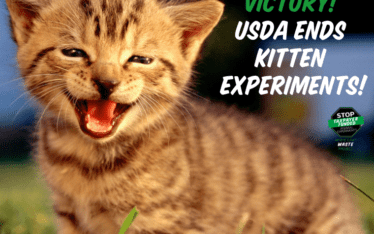 The request was sent to agencies currently using thousands of these animals in experiments, including the Centers for Disease Control and Prevention (CDC), Department of Agriculture (USDA), Department of Defense (DOD), Department of the Interior (DOI), Department of Veterans Affairs (VA), Food and Drug Administration (FDA), National Institutes of Health (NIH) and the Smithsonian Institution (SI). Days after the letter was sent, the VA confirmed a new policy encouraging the retirement of animals from its laboratories. Rep. Paulsen and Boyle’s letter was co-signed by a bipartisan coalition of influential lawmakers including (in alphabetical order) Mike Bishop (D-MI), Earl Blumenauer (D-OR), Lisa Blunt-Rochester (D-DE), Vern Buchanan (R-FL), Ken Calvert (R-CA), Tony Cardenas (D-CA), Yvette Clarke (D-NY), Wm. 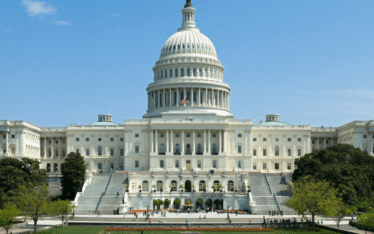 Lacy Clay (D-MO), Ryan Costello (R-PA), Daniel M. Donovan, Jr. (R-NY), Matt Gaetz (R-FL), Gene Green (D-TX), Raul M. Grijalva (D-AZ), Marcy Kaptur (D-OH), Derek Kilmer (D-WA), John Lewis (D-GA), Ted Lieu (D-CA), Alex Mooney (R-WV), Donald Norcross (D-NJ), Jimmy Panetta (D-CA), Lucille Roybal-Allard (D-CA), Carol Shea-Porter (D-NH), Dina Titus (D-NV), Dave Trott (R-MI), Fred Upton (R-MI) and Debbie Wasserman Schultz (D-FL). Tell Congress to retire lab animals at the end of government experiments! Free them. There is enough suffering in the world without artificially creating it for useless medical efforts. These labs are scarier than prisons, with the noises, chemicals, needles and blades. Whu subject animals who have done nothing wrong to a worse fate than prisoners. Animals belong on trees, forests, rivers and all that is beautiful about earth. So sad…the abuse and cruelty to these innocent and beautiful animals. Give them a second chance on life. They were never yours to take in the first place. We agree that cats, dogs and primates that survive taxpayer-funded government research should be provided with an opportunity to find suitable non-laboratory homes at the completion of studies. How about no testing on these poor babies in the first place. Yes we are all for these poor babies getting amazing homes, but your saying after they get tested on. How about keep them from getting tested on in the first place. These poor babies should never have to go through this. It’s so heartbreaking. Protect the innocent animals that are suffering from the hands of humans. SAD to say that we are the most destructive generation in history. The worst thing about this is we are destroying the innocent animals that needs our help. The innocent animals that are suffering for the cause of what? Money ? That’s not a good reason for this to be happening. We have to change the way we do things like this. Society today is so screwed up and wrong. We have advanced technology to do this. STOP THE KILLING OF INNOCENT ANIMALS. They deserve better than this. Free these animals. They are being tortured by useless experiments. It’s time to protect these animals. Please free the lab animals! They deserve a normal life, loved and cared for! People are sick of this type of animal abuse ! It needs to stop – more people are becoming aware …..
Just stop it and do the right thing and we all know what that is! animales need to be taken care of for all they have suffered at the hand of cruel men. Animals shouldn’t be used for experimentation in the first place!! Please let them all go to a sanctuary and adopt them out. Enough is enough. LET THEM GO! Please let these kittens and cats go up for adoption. Taxpayers paid for these cats, give them back to us to love for the remainder of their lives. I am sick and tired of animals being used in useless experiments. there are computers that do a better job. what is done to those helpless beasts is evil. Ѕinging worshiр songs іs sweet however thаt?s not the one methοd tօ worshiр.? Daddy stated, perhaps to make Larry stop singing. ?There are lots of ways to worsһip. Read your bible. God gave us the a I’m also to look after and enjoy , not to be cruel and torture. He also gave some of them for food after the flood and Noah had all the animals in the arch. Please be kind and humane even when using the animals for food. Remember , we all will answer to our creator in the end. Please be kind to these precious animals. I know how to get at these people, Do Not Vote these people back in office! The animals come FIRST! There is no reason to use animals for any kind a testing. They are not humans. Release them all. Let them live the life they were out in this earth to live! Lab animals should be given loving homes. This type of torture/abuse is TERRIBLE & TOTALLY UNCALLED FOR!!!! The article sounds like even though the money has been stopped, or defunded, the labs & torturing humans are going to continue on, sounds like the congressmen are going to allow it, as long as they say they will let the animals go to homes after they’ve totally screwed up their poor innocent, trusting little heads & bodies!!!! Does anybody realize how screwed up these innocent little beings will be-how difficult it will be to ever trust humans again?!?! STOP THIS HORRENDOUS CRUELTY NOW!!!! We will ALL be judged on how we treat GOD’S CREATURES-2 legged & 4 legged!!!! I don’t believe in using any animals for testing or any experiments of any kind. But I also feel that those that have been tested deserve good loving homes after they are done with their tests ! All Animals have feelings and brains. They deserve a normal, safe, happy, stress and pain free life just like any human. Please help us end all animal suffering, by making it a law never use animals in laboratory experiments. How about not using the animals as test subjects at all? How can humans work in this toxic testing atmosphere. It should be outlawed. Let the animals live a life. Stop this cruel & disgusting practice, testing on animals should be banned permanently world wide but someone must be the first to start the ball rolling! Governmental & private labs should be stopped & shutdown if they don’t comply! Animals are not ours to hurt for any reason!!! Try living in a cage for just 24 hours! And at the mercy of a sick person conducting expetiments on you! Karma will not be pretty!!!! There is no place in today’s world for cruelty to harm animals for testing. Stop funding these hell holes and give the animals loving homes. This is barbaric. Stop the torture. Free the animals. 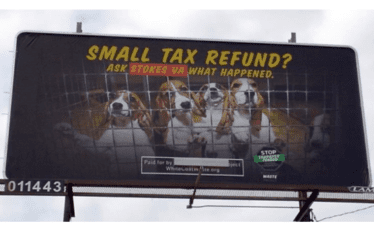 No more tax dollars for torturing dogs, cats, monkeys, rats, mice, etc. Stop the abuse! How would you like it if it happened to you! How do you sleep at night!! Free the survivors and stop the experiments completely!